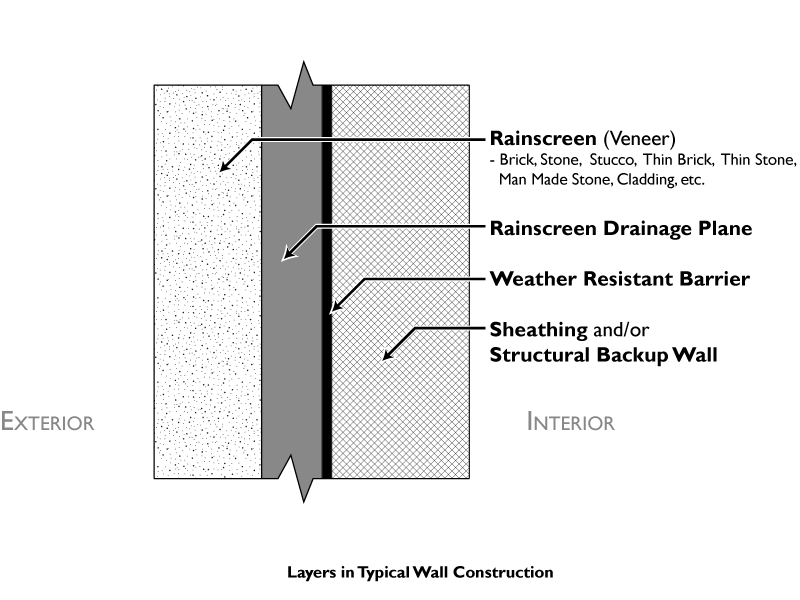 Architects and designers seeking better moisture management and energy efficiency from the exteriors of their projects are turning to a rain screen wall system as a solution for both. A rain screen is an exterior cladding infrastructure that sits away from a building’s outside wall’s weather-resistant barrier, creating an air cavity directly behind the cladding that helps to protect the buildings important weather-resistant barrier. This allows any moisture that may pass by the cladding to easily drain away from the building, and the air that flows between the cladding and the wall accelerates evaporation of any residual moisture.